As a child I heard the old expression “The best things in life comes in small packages”…especially from my grandmother since I was always complaining about being the smallest kid in my class through elementary and junior high. It was a quote of personal endearment but as a growing adolescent I still pouted because the other girls were starting to wear bra’s and fitted clothes while I was still stuck in the children’s clothing section through about eighth grade. This year I am getting a little creative about some of the presents I am giving (with the packaging) myself…the element of surprise is what makes Christmas fun! You will have to wait until Christmas is over for me to reveal the secrets. When you are stuck at home with no car and a “bum” foot …creativity becomes a necessity! To start with…. the biggest surprise for the children of Israel was in the delivery of the “man” chosen to lead them…this world-altering event was not expected… by any stretch of the imagination. “The children of Israel were anticipating the coming of the Messiah, and they had a certain image in their minds. They were awaiting the arrival of a military leader who would show up on the scene with a lot of fanfare. They were expecting someone who would demand attention and respect by His very presence. 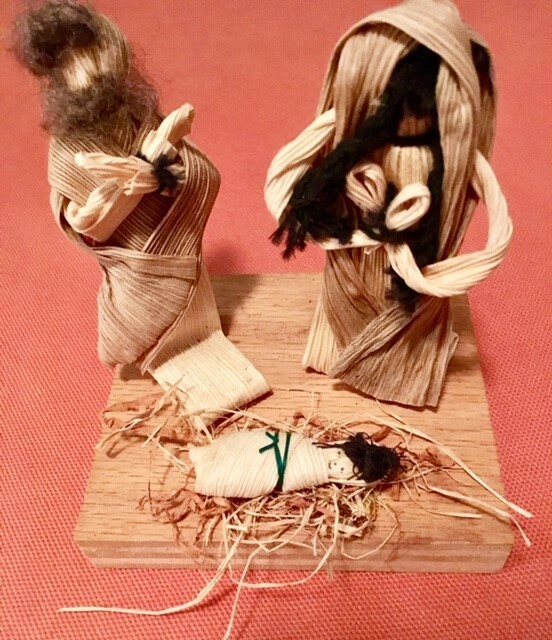 Can you imagine their confusion when the Christ child made His humble entrance into the world? The Son of God entered our world clothed in the flesh of an infant. God’s plan to redeem and restore His people began with a newborn’s cry. It was the ultimate surprise gift. Scripture is full of God’s choosing to wrap gifts in mysterious ways. From the heart of a king hidden inside of a shepherd boy to the Messiah in a manger to angels disguised as strangers, He is full of beautiful surprises. Let’s not miss a single one of them! So until tomorrow…May we always take the time to take a second glance at somebody or some situation…because if we rely solely on first impressions…we might miss out on lasting ones. *I wanted to share an important moment with you that centered around a conversation I had yesterday morning with a mailman I had never met who brought a package to my front porch. I saw him coming and started limping as fast as I could to get to the front door (leading out to the porch) to see how heavy the package was so perhaps he could help me with it if needed. 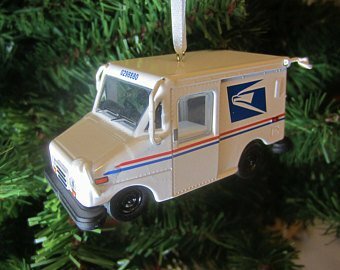 It was light, however, and I took it from him and casually commented that Christmas probably isn’t his favorite season with all the additional hours and weekends mail carriers end up putting in each year. He continued…”I was in the army for 20 years and stationed overseas a large part of that time…believe me I pulled a lot of extra hours on active duty but in those situations I didn’t know where I would be going after “work” or even what “home” would look like from day to day when we moving out each day.I had nothing to look forward to…except for surviving another day. So to answer readers’ questions on when or where I find ideas for stories each day…you just discovered my secret. I receive God Winks in all shapes and sizes…a wonderful gift! 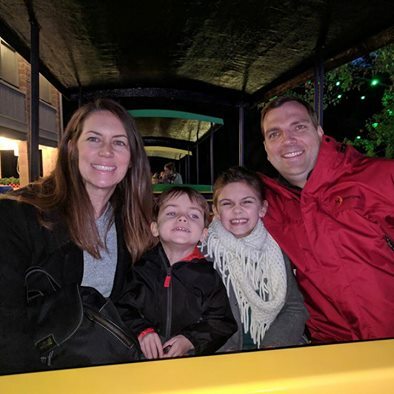 The Turner family used another type of transportation to see all the lights at the Christmas Festival of Lights…the train that circles the festival…always fun….it really gets everyone in the Christmas mood. 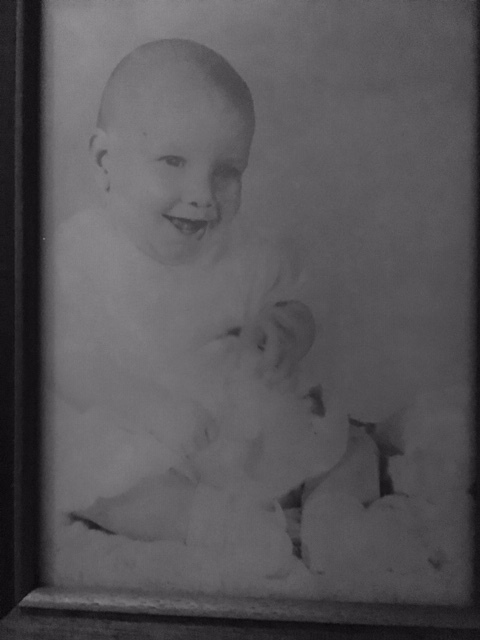 *Inside the “box car” on the Christmas train Advent Calendar on December 3, is a note remembering my younger brother’s birthday. David, I miss you every day and will always remember you for your kind and gentle manner. 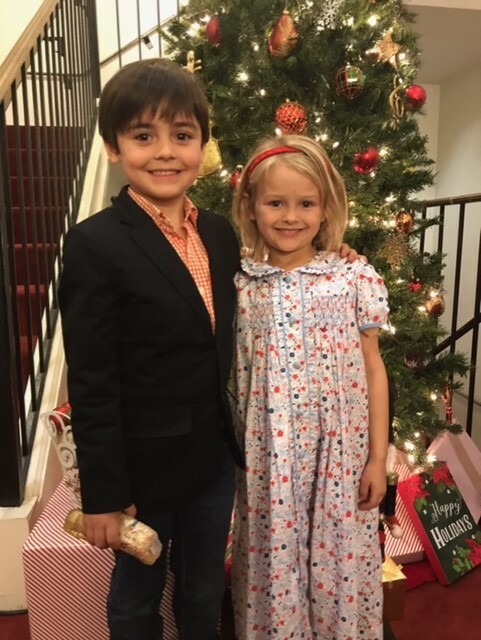 Rutledge and a classmate, Maggie Lynch(Sarah Bailey’s little girl) went to see The Nutcracker this weekend. 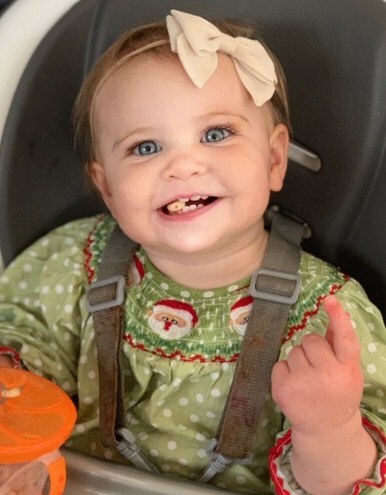 Eloise was content to enjoy the treats of Christmas present. Wonderful story, to me a true story of hope! The pictures were oh so precious! I am becoming more aware everyday that there are so many stories floating around me…I can literally pluck them from the air….because life is a story….we are a story. And one of my best stories, Honey, was meeting you.